Judith B. Kassel provides legal advice and representation pertaining to a broad array of issues relating to doing business with the Federal Government and state governments. These issues include acquisition planning, proposal preparation, source selection, rights in and protection of intellectual property, cost accounting and reimbursement, contract administration, socio-economic programs, and terminations for convenience and default. Judith spent two decades serving in senior in-house legal positions of publically-traded government contractors. Clients turn to Judith for her practical advice and deep experience in the overlay and convergence of regulatory with corporate matters. Her practice spans multiple industries, including information technology, design and construction, health care services, pharmaceuticals, medical equipment and security services, among others. Judith counsels companies on the structuring and negotiation of mergers, acquisitions, joint ventures, teaming arrangements, license agreements, cooperative agreements, and subcontracts involving Government contracts. For example, she routinely advises clients regarding the impact of an acquisition on a company's small business status. Judith counsels clients regarding protection of intellectual property (patents, software, technical data, and data) when contracting with the Government. Her work includes counseling a Fortune 500 company in connection with preserving that company's intellectual property used or developed under a Government contract. Judith works with Government contractors in designing and implementing compliance programs that will comply with Government contracting and grant requirements. She has been successful in working with commercial companies in designing these programs so that the compliance program does not disrupt the organization's commercial operations. For example, she worked with a large automotive part manufacturer to interlay Government contracting procedures with its pre-existing commercial procedures. As part of her compliance work, she routinely trains company personnel on the requirements of doing business with the Government. Judith conducts internal investigations relating to possible violations Government contracting and grant requirements and has advised companies regarding their response to findings of such investigations. Several of these investigations have related to time-charging under Government contracts and grants. Another related to whether invoices for products to the Government were properly prepared. In addition she works with companies to respond to critical reports by the General Accountability Office ("GAO") and to prepare testimony for presentation before Congressional committees. Judith maintains an active practice of advising non-profit and other organizations regarding the compliance and performance obligations of Government grants. For example, she advises clients regarding accounting and cost share requirements of federal grants. Judith litigates bid protests before the General Accountability Office and the Court of Federal Claims. She also litigates contractor claims before the boards of contract appeals and the Court of Federal Claims. 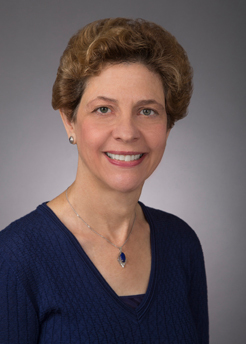 Before re-joining private practice, Judith served as General Counsel for two publically traded Government contractors and in a senior legal capacity for a third such company. In these roles, she had the full range of duties of a chief legal officer. She has handled antitrust, Government contracts and corporate issues generally and has taken a leading role on a large number of mergers, acquisitions, joint ventures, teaming agreements, and other transactions. She is well experienced in using legal tools to enhance business strategies - and bring them to fruition. 2008 Finalist, Outstanding Chief Legal Officer Award, Washington Metropolitan Area Corporate Counsel Association. Certificate of Recognition, Fairfax County, Virginia, as an outstanding woman executive in the information technology industry.